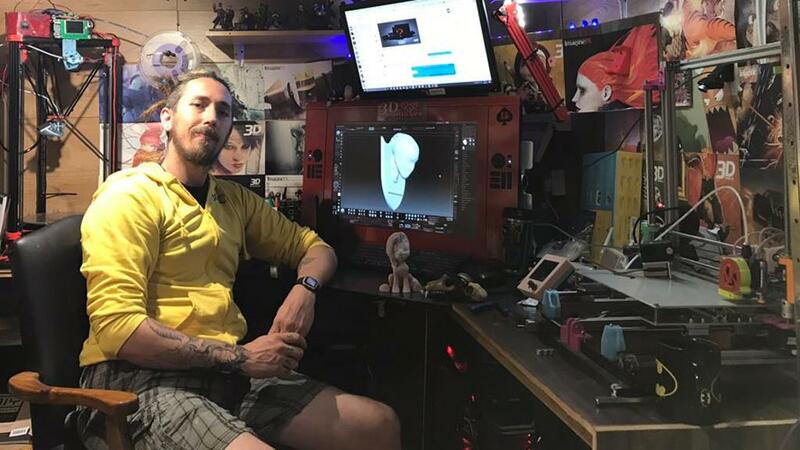 This is a rare picture where we can have a peek inside 3D Printed Aspie’s workshop – the creator’s den. Ryan told us that he’s built a 13x11ft wooden shed at the back of his garden. Here is where his neat designs are created and tested. Like this No Face from the Spirited Away movie. Let’s take a look at a Unicorn/Pegasus model. What a great idea to transform one fairytale creature into another by simply adding and removing a couple of features. We will definitely keep it in mind for our own future projects. Ryan told us that he was encouraged by iDevelo, another 3D printing community member. 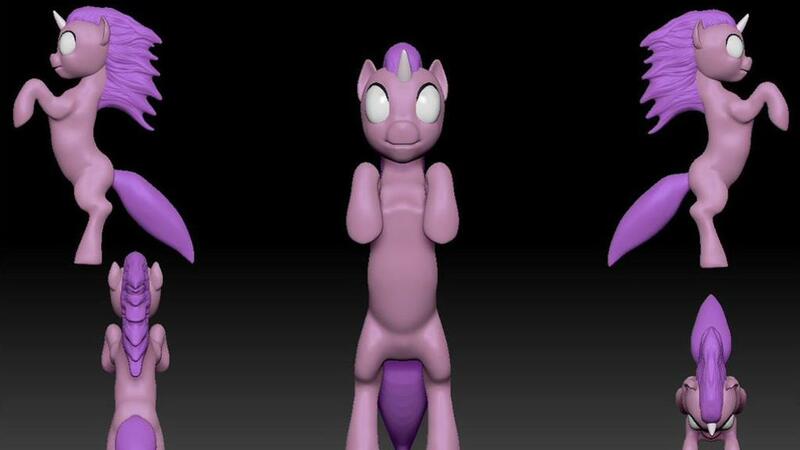 iDevelo was looking for a support-free 3D printable model of Unicorn and 3D Printed Aspie accepted the challenge. The Unicorn look and shape was inspired by My Little Pony that Ryan’s kids love. It came out very cute and easy to print. 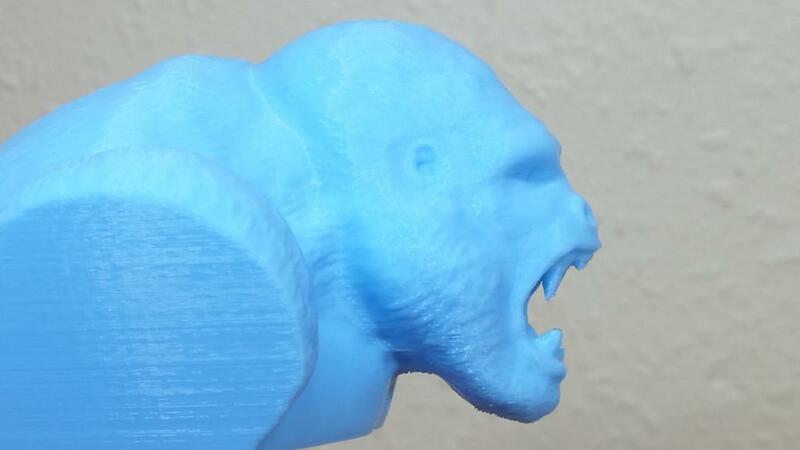 We also printed a more challenging Ryan’s model – Mighty Joe Kong. In our opinion, there is a trick to designing models with expressive face emotions for a single color desktop 3D printing. Small details may be ignored by a slicer software if they are not emphasized enough. Mighty Joe Kong is a detailed design where the fangs are shown in an open mouth. The angry roaring face of Mighty Kong is the center point of this figure. We risked printing a model scaled to 80% but the features were preserved. Supports were placed manually in Simplify3D. Even though the automatic support option placed several under the eyebrows, we removed them. As the result, the eyes came out very well. It was a decisive moment when supports had to be removed from the mouth. We were afraid to pull the fangs out. In the end, all went well and now we have a very nice figurine. At the time of writing this blog, 3D Printed Aspie was working on another, more complicated Unicorn model. Pull up a chair and relax while I share my journey into the wonderful world of 3D Printing. I’m Ryan the 3D Printed Aspie I am a massive Geek/Nerd/Gamer/Maker/Builder/Tinkerer and I want to share my knowledge with you all. I am formally trained and have a degree in Computer Games Design but my passion was always creating Characters and Models in 3D.